Unlock! is a fantastic series of escape rooms. This series is made up of a deck of cards that can easily be reassembled after each playthrough, making them perfect for circulation. Players put cards together, such as a screw and screwdriver, adding the numbers on the cards together to check if their solution is correct. While this system sometimes does allow for accidental puzzle solving, it’s easy enough to realize if you’ve solved something out of order. Unlock! teaches players how to play by putting them through a tutorial room. It shows players what kinds of puzzles they can anticipate as well as making excellent use of the cards by teaching them step by step with each card they pull. An app is required to play, but does the work of a Game Master and the various locks found in a live escape room. If players are stuck then hints are given or if a sound is required for a puzzle then the app provides it. It adds a layer of ambient immersion to the puzzles that an analog-only escape room board game would not be able to provide. The one downside is that the need for an app makes the game impossible to play without a device. The Formula and Squeak & Sausage rooms are exceptional. The puzzles are creative and intuitive without being completely obvious. They make excellent use of the app in interesting ways. Overall they have just the right kind of outside the box thinking. Unfortunately, The Island of Doctor Goorse left much to be desired. This third installment splits the party, and the puzzles feel obtuse. While the party is split, puzzles need to be simpler due to the party’s brain power being divided. Even when reunited though, some of the solutions were baffling. While we highly recommend the series, you may want to pass over The Island of Doctor Goorse. 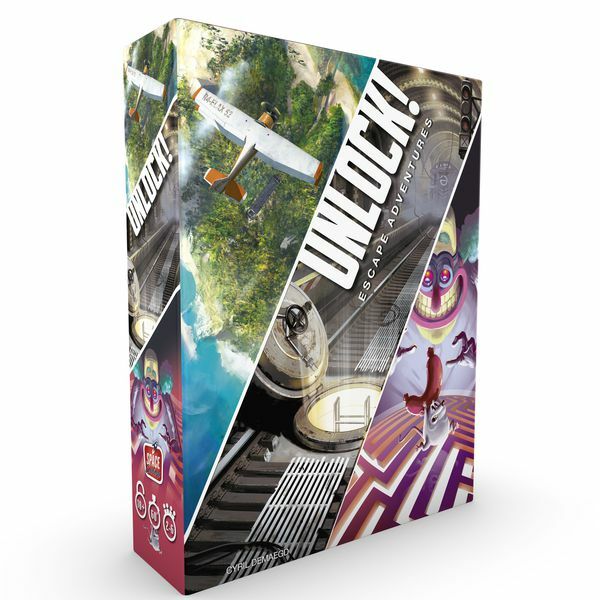 If mobile devices are not an issue, then the Unlock series may be the best escape room game for schools and libraries. Posted on August 20, 2018 by Stephanie Frey and filed under Tabletop, Computational Thinking, Escape Rooms, Libraries / Ready to Code and tagged Escape Rooms Unlock.